I often find that I'm happy to leave characters where they were. Yes, a revisit can be wonderful, but sometimes it feels forced. Good morning, Jodi! We're so happy you're back with us today. :) Congrats on another wonderful release! To answer the question... Yes, I like revisiting characters as long as it's important to the story. As for naming one, I'll go with Derek Craven (Lisa Kleypas) who first appeared in THEN CAME YOU before finding his own happily ever after in DREAMING OF YOU. Sigh. This is actually a tough question! I guess my answer is yes and no... I tend to prefer authors who write series, but not because the book will revisit characters, but because the writing is so good that I want to read whatever they write. I want a book that stands on its own. Jodi I am a huge fan of all your books, both Western and comtemp. I just finished the McClain bros trilogy and I love revisiting characters. I have your new book pre ordered for my Kindle. I love revisiting characters from older books, but agree that it must make sense and can't feel forced. Like Andrea, I was a big fan of Derek Craven, and was very happy he got his own book. Julie James introduced a great secondary character, Kyle, in her latest A Lot Like Love, and I can't wait for his book! And of course, we mustn't forget the Duke of Villiers from Eloisa's Desperate Duchesses series. We watched him grow as a character in the first five books of the series, and play Cupid/matchmaker who was instrumental in getting the previous couples together, before we got his story. With Judith McNaught's historicals, I liked couples from previous books (Jordan and Alex from Something Wonderful, Jason and Victoria from Once and Always, and Whitney and Clayton from Whitney My Love) making an appearance in Until You. I also loved Meredith and Matt from Paradise making cameos in Perfect and Every Breath You Take. Hi Jodi, nice to see your here. I love your books. I will read everyone of yours I can get my hands on. Would love to read this on. I like to revisit characters in books if it hasn't been to long since I read the book, because sometimes I forget before I read the next book. Characters really make the book for me. Yes, I like revisiting them and seeing what they've been up to. It's like seeing old friends. I enjoyed the earlier Whispering Mountain books and am looking forward to the stories of a second generation of McMurrays. Some of the characters for whose stories I've waited longest and most eagerly are Jo Beverley's Rothgar (Devilish) and Dare (To Recue a Rogue), Eloisa James's Mayne (Pleasure for Pleasure), and, most recently, Loretta Chase's Olivia and Peregrine (Last Night's Scandal). 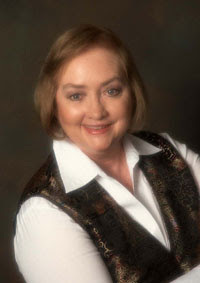 I like a series of books and characters such as The Virgin River Series by Robyn Carr. Some of the same people are in each book but new characters are added each time. Janga, I also love the Mallorens. I just went back and reread Devilish, Rothgar and Dianna's story. Hello Jodi and congratulations on your newest release! I remember you gave a great interiew a while ago on romance novel tv which I found very inspiring. I hope I remember things correctly without making a fool of myself. Like Andrea, I like revisiting characters if they are of some importance to the story, furthers the plot or allows the reader to learn something about the hero/heroine of the current book. I like reading short mentiones like "X and Y got married and had two children and now they're in Nepal," especially if their book didn't have an epilogue. It feels like I'm catching up with old friends. I don't like it when they make lengthy appearances without any purpose because it feels forced like: "Hey I'm John the brooding duke who got married two books ago. Buy my book! And buy the one written about my sister as well." Hi, Jodi! We're happy you're with us again today. I love revisiting characters. Derek Craven has been mentioned, and he's a good one. Dtchycat said: I tend to prefer authors who write series, but not because the book will revisit characters, but because the writing is so good that I want to read whatever they write. Very good point, Dtchycat. If the writing isn't up to par, I tend to be a bit let down, whether I was waiting for someone's story or not. Hi, Connie! I hope you enjoy Jodi's latest! Thanks for stopping by. Lisa said: Julie James introduced a great secondary character, Kyle, in her latest A Lot Like Love, and I can't wait for his book! Virginia said: I like to revisit characters in books if it hasn't been to long since I read the book, because sometimes I forget before I read the next book. And this is exactly why back-to-back releases are so popular, Virginia! LSUReader said: Yes, I like revisiting them and seeing what they've been up to. It's like seeing old friends. Joni, PJ has raved and raved about Robyn Carr's Virgin River series. One of these days, I need to read them! LOL @ Antonia!! Excellent point! This books sounds great can't wait. 31st congrats!! Yes, I like revisiting characters, especially if there's a secondary character that I feel like needs a story of his/her own. :) I've loved the Bridgerton series by Julia Quinn, and the Wedding Quartet by Nora Roberts, Virgin River Series by Robyn Carr. Okay I'll stop. Thanks so much for the insight into this book! Welcome back, Jodi!! Congrats on your latest release! I love revisiting characters from past books -- that is one of the reason I love series so much. Oh yeah, I love to see characters from previous books again! But I don't like it when they take too much attention from the main couple away. I love The Wallflower series from Lisa Kleypas just for that alone. Yes, I like revisiting characters from previous books, it is like a little reunion of sorts. My favorite recurring character that got their own HEA was the Duke of Villiars in Eloisa James' Desperate Duchesses series. He was a not so nice character that got nicer as the books went on, until I was rooting for him to have his HEA. I love to revisit characters throughout a series. I really was glad that a secondary character in Lauren Dane's Brown Siblings books finally got her own story in Inside Out. It is satisfying to see these characters grow in their own book. I like a series of books and characters such as The Virgin River Series by Robyn Carr. Joni, I love this series!! Jodi - Your books sound wonderful! 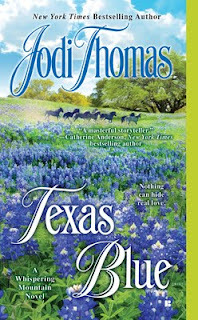 Coming from Rhode Island the smallest state I was amazed at the wide open spaces of Texas when I drove thru it on a trip to Arizona!I can't wait to read this book! It isn't important if a book is a series or a stand alone book, it's all about the characters and the relatation that developes between them. I love reading series partly for the opportunity to see what is going on in the lives of characters I got to know and like in previous books. There have been many characters I have liked following over the years. Right now I am reading Jennifer Blake's MASTER OF ARMS series. It spans several years and the sword masters appear in all the books so far. They and their ladies play a part in the other masters reaching their own HEA. Families are started and children grow. I have been enjoying the history and details she has included. I love your books and am looking forward to reading Texas Blue. I tend to read a lot of series books and have to say I do love to revisit past characters because not only is like visiting friends and family it's also great to read about them again.I agree that one of my most memorable stories was the Duke of Villiers from Eloisa's Desperate Duchesses series. I also enjoyed Mary Balogh's The Huxtable family books. I especially enjoy reading about siblings.And there's also Claudia Dain's Courtesean books. I absolutely loved reading about all those characters in each of the books i the series. Jessika, I love Nora's Bride Quartet!!! Barbara, I need to read that series by EJ. I'm so far behind on my reading!! Wow, librarypat, that series sounds really good. Thanks for the heads up! I hope you enjoy TEXAS BLUE, Carol! Wyatt from A Summer of Two Wishes - Julia London. And yes I love series books and revisting characters.